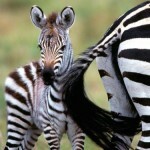 Safaris You Should be Booking NOW! Great Rift Valley, Tanzania from 7,295 per person. This 10 day safari covers all the highlights of Tanzania’s best northern wildlife parks including Tarangire, Lake Manyara, Ngorongoro Crater and the Serengeti. This is the perfect time of year to witness a baby boom, as the great migration feeds on the lush grasses of the Ndutu Plains in the southern Serengeti. We handpick the best spot to witness the miracle of thousands of newborn zebra and wildebeest — which naturally attracts the predators to the area as well. You have a private guide and your own vehicle throughout your safari, which also includes a flight back to Arusha on your final day to avoid the long transfer by road. All meals, park fees, accommodations and transfers are included. 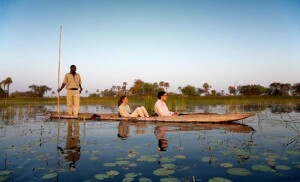 Botswana Wilderness from $5,375 per person. This 8 day safari takes you deep into the heart of Botswana’s Okavango Delta where you will spend the first 5 nights at two different Wilderness camps, Chitabe and Kwetsani. Both areas offer extraordinary game viewing and you can enjoy safari drives as well as mokoro excursions as you immerse yourself in one of the planet’s most unique, remote wildlife destinations. Your final two nights will be spent at Duma Tau camp amid the untouched wilderness of the Savute Channel. Your accommodations are in luxury suites with private decks and spectacular views, to enjoy your own private slice of Africa. All meals, safari activities, transfers, internal flights between camps, park fees, and local drinks are included.This extraordinary safari experience can easily be combined with extra nights in Cape Town or the Victoria Falls. 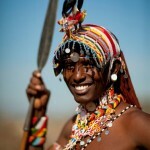 Kenya Supreme Safari and Beach from $6,895 per person. This 12 day safari combines the stunning rugged wilderness of Kenya’s Samburu region, with 3 nights in the wildlife saturated plains of the Masai Mara, followed by 4 nights of glorious Ocean views on Kenya’s coast. You’ll be staying in 5 star intimate luxury accommodation throughout the safari, located in private conservancies allowing for night drives and bush walks. Game drives are in open 4×4’s with a maximum of 6 guests per vehicle. Saruni Ocean is a new exquisite property located on Diani Beach, the perfect place to wash off the safari dust and unwind. All meals, park fees, transfers and internal flights are included. Contact us to book your winter safari getaway.